Knowledge is power when it comes to legal defense. Attorneys Larry Newman and Mike Cyr have written several ebooks to help our clients and the general public better understand some complicated areas of law that relate to our practice. Most of our topics are designed to provide information that is non-existent or hard to find on the internet or anywhere else! We hope that you enjoy these Free ebooks authored by attorneys in our office. by Dr. Lawrence Newman, Esq. This ebook explains the best methods for handling a DWI refusal case in New York. Attorney Newman provides insight into the practical reasons for our method and how it can help our clients achieve the best possible outcome for their case. 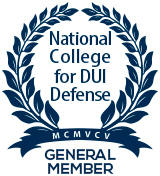 Refusals are complicated, but can be very defensible cases for a DWI defendant in New York. However, you need to follow the right process, and you need to ask the right questions. This ebook is the definitive New York DWI license book. Our opus covers all facets of the DWI process and its relationship to your license. In addition to cover many topics for a NY license holder, we also provide insight into how an out-of-state licenses can be affected by a NY DWI and cite specific examples from states where we are licensed to practice law. If you have an issue with your driver's license in New York stemming from a DWI or DWAI charge, this book should provide guidance on the issue. This ebook was written in 2012 to help Attorney Newman's clients understand the basics and pitfalls of any DWI charge. There is good advice about the beginning of any case and how to avoid very common mistakes that all DWI defendants can make. This ebook was written to help New York college students avoid criminal charges before they happen. It is a practical, no nonsense guide that is meant to educate students before they make critical mistakes or errors of judgment while enjoying their college years. College is supposed to be fun --and with some knowledge--criminal charges can be avoided entirely.